Obituary for Virginia (Fiorina) Keller | Frank F. Gigler Funeral Home, Inc.
Virginia “Jeannie” Keller, 86, of Arnold, passed peacefully on Friday, January 18, 2019, in Harmar Village Care Center, with her family by her side. She was born in New Kensington, a daughter of the late John and Theresa ( Burlando) Fiorina. 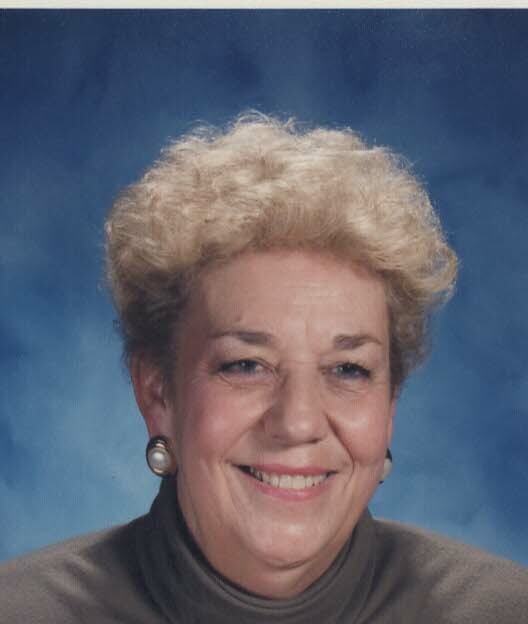 Jeannie was employed many years as secretary for the New Ken-Arnold School District. Prior to that, she was employed as a secretary for Arnold City hall. She graduated from Arnold High School in 1950, where she enjoyed her time as a cheerleader. Jeannie was well known for her love of Hershey bars and coffee. Her other interests included dancing, music, reading, and gardening. She loved her cats, Tom and Jerry. Above all, she put her love for her family first, especially her children and grandchildren. Besides her parents, she was preceded in death by her brother, John Fiorina and her sister, Jessie Pedatella. Survivors include her twin daughters, Colleen (spouse Daniel Berman) Keller of West Deer Township and Collette ( late Edward) Quinten of Lower Burrell; son William (Mary) Keller of Oakmont; three grandchildren, Jamie Nee of Oakmont; Jonathan (Heather) Keller of Pittsburgh; and Brandon (Kelsey) Keller of Pittsburgh; two great grandchildren, Phoebe Nee of Oakmont and Piper Nicole Keller of Pittsburgh. Family and friends will be received from 2 to 4 and 6 to 8 pm Tuesday, in the FRANK F. GIGLER FUNERAL HOME Inc. , Robert P. Karish Supvr. , 2877 Leechburg Road, Lower Burrell, PA 15068, where services will be held at 11 am Wednesday, with Pastor Robert Ezatoff officiating. Burial will follow in Greenwood Memorial Park in Lower Burrell. Virginia’s family wishes to express their deep appreciation and gratitude to the staff at Harmar Village Care Center, who each and collectively took great care of our mother, each in their own way touched her heart.